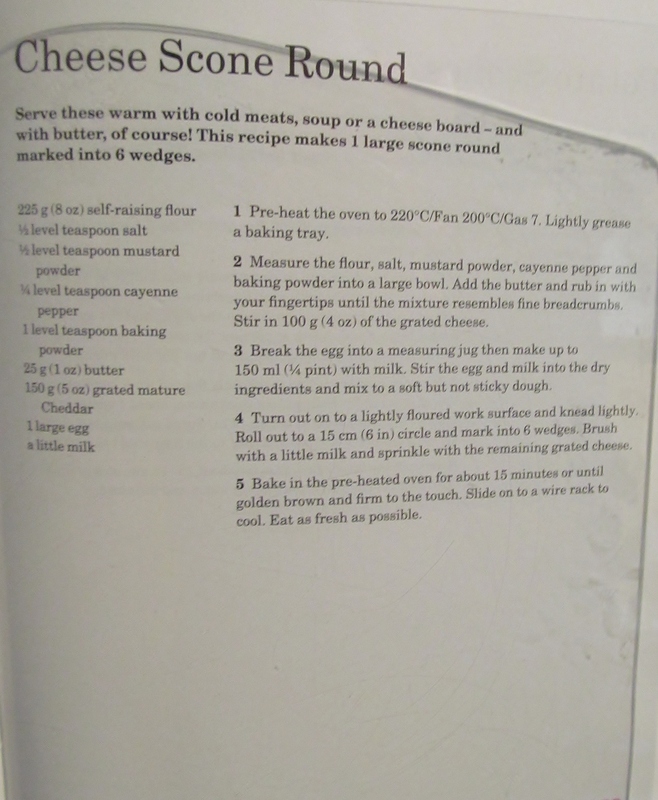 After the over indulence of chocolate and big cakes of the last few weeks, I searched Mary Berry‘s baking bible in search of something savoury and found this recipe that I had yet to cover. The recipe seemed easy enough and Mary’s instructions as always are clear and concise. I assembled all the ingredients as instructed and ended up with a scone dough that Mary suggests shaping into a round and dividing into 6 sections. This is where I added my own twist and decided to cut them out as usual scone shapes which I think looks nicer and is easier to store. I managed to cut out 9 scone shapes , sprinkled the top of them with the leftover grated cheese and popped them in the oven. The smell as they were cooking was mouthwatering! After the pinger went off, I had a look at them and they were a beautiful golden colour and pretty even so I was pleased with them. I am afraid to say that one didn’t get to cool off totally, before it was sampled but I maintain that this is the cook’s perk! 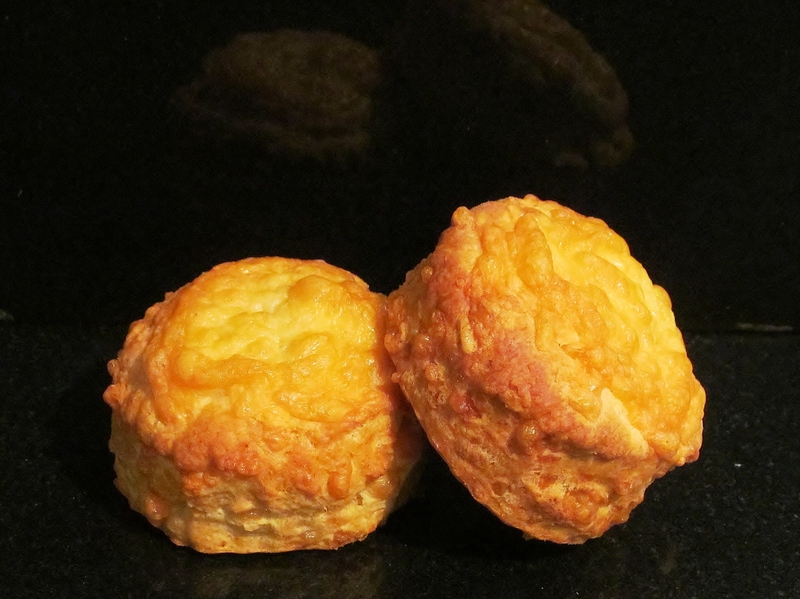 This entry was posted in Kim's cake challenge and tagged Baking and Confections, Butter, cheese scones, Cook, Flour, Home, kims cake challenge, Mary, Mary Berry, Mary Berry's Cheese Scone Round, scone by kimsideas. Bookmark the permalink. That’s great….did you make the round like Mary did or individual scones like me? These are my chief taster’s favourite and he’s a bit miffed that he has to wait till I have finished the book for more! Thank you for your comment, but Week Thirty Three is perfectly legible on a computer, laptop or cellphone. However, the whole idea of Kim’s Cake Challenge isn’t to publish every recipe and use the blog instead of getting Mary Berry’s Baking Bible.